What's your plan for the day? My plans for today: a day in the city, some shopping and a few drinks with my fiancé. My Valentine's day makeup look is super simple. Nothing dramatic. I can't be bothered with complicated things. I wanted something simple and easy to wear. THE BASE. Dior BB Creme. 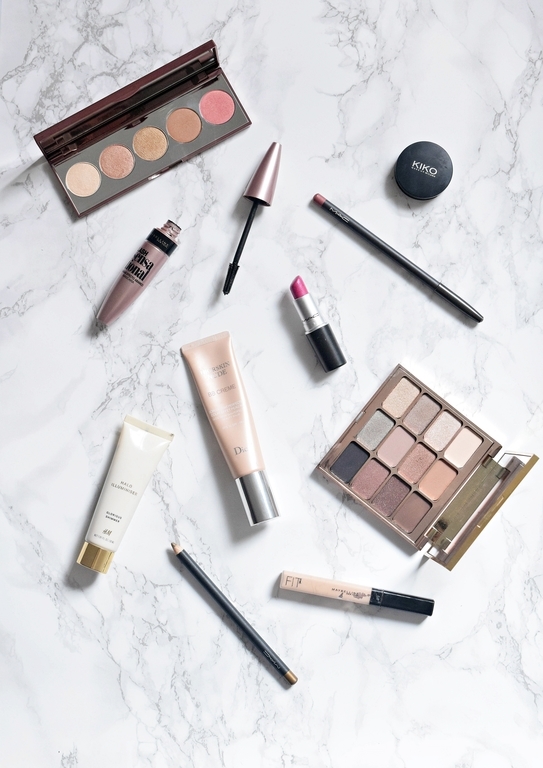 Lightweight, fresh an glowy on the skin and that lasts well on the skin. THE CONCEALERS. Kiko Full Coverage for redness and marks and Maybelline Fit Me concealer for under the eye. THE HIGHLIGHTER. 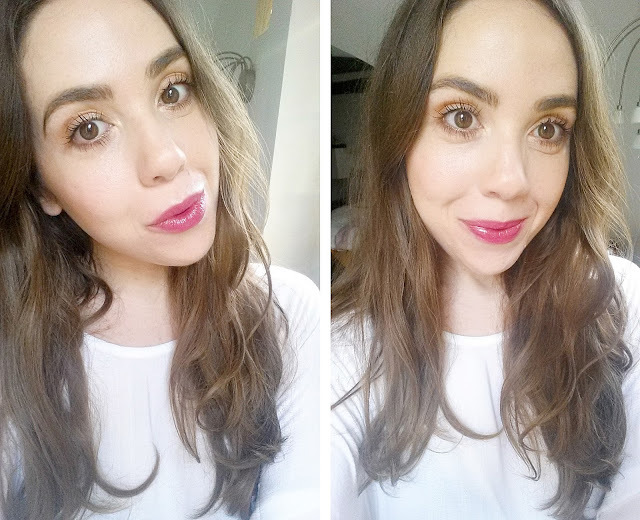 I applied the H&M Halo Illuminiser in the shade Champagne Gold before my foundation, I love this stuff! THE PALETTES. I've recently got the Becca After Glow Palette and I'm loving it! I actually used some of the colours as eyeshadows! I applied the pinky toned shade, flowerchild, as a blush, the shade wild honey as a bronzer and the shade moonstone as a highlighter. So multitasking! I also used some of the matte shades from the Stila Eyes Are the Window Soul Palette. THE MASCARA. Maybelline Lash Sensational is amazing! Best drugstore mascara ever! THE EYE PENCIL. MAC Powersurge Eye Khol, a beautiful antiqued gold colour. THE LIP PENCIL. MAC Dervish lip liner to define my lips. THE LIPSTICK. MAC Milan Mode. For the lips I wanted something brighter, but yet simple and easy to re-apply during the day (after a glass of prosecco). This glossy fuchsia pink is perfect for the day. Do you celebrate this day? I hope you all have a wonderful Valentine's day! Feel Bella by Almu F. B. 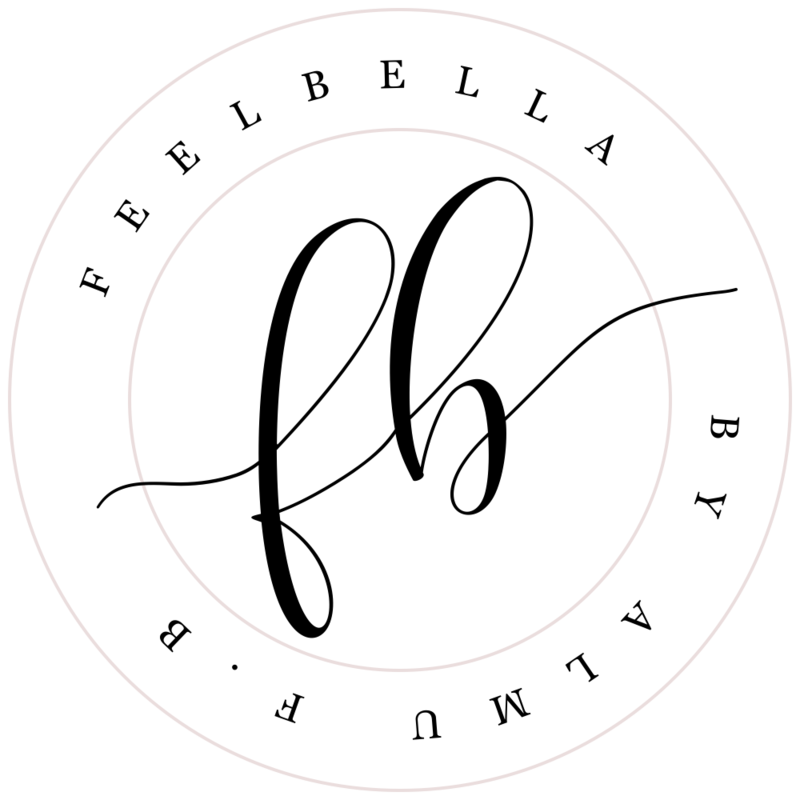 Feel bella is where I share my obsession for all things beauty and love for high end makeup. But not only that, I'm constantly traveling and living in different parts of the world so follow me as I share my daily life and adventures around the globe. Thanks for stopping by. See you again soon? All content belongs to me, please contact me before using. Powered by Blogger.